Samantha is excited to introduce the local dance community to a preparatory program for students pursuing the many opportunities the dance world has, beyond high school graduation. Technical development is top priority at Essential Elements Dance Studio. Samantha believes in instilling proper technique and revisiting the essentials in weekly Progression classes at the studio level. Further exposing the focused company dancer and supporting her individual creative outlet through performance opportunities and competitions. EEDS provides the complete contemporary dance experience through an organized series of Master Classes, In House Speakers and hands-on audition exposure and opportunities. Samantha hopes to bring an fresh perspective to the dance studio environment through the Essential Elements, which are key to all young dance students. 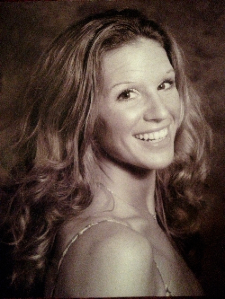 Samantha studied at Denville Dance Arts center for 15 years under the direction of Cara and Lyn Prester. Through her competitive dance training she was afforded many performance opportunities, in addition to regional and national competitions. She performed with The Oak Ridge Boys, The Drifters, The Charlie Daniels Band and Mary Wilson of The Supremes. Additionally, she studied at Broadway Dance Center with Frank Hatchett and many others. At DDAC, she received the no nonsense education etiquette that she shares with her students today. It was due to that experience, her lifelong goal to open a studio and create a home away from home for young dancers was born. After attending Indiana University of Pennsylvania, Samantha pursued a performance career and performed briefly with Carol Baskingers Dance Designs at prestigious venues such as Sardis in Manhattan with stars like Rosie Perez and Carol Burnette. During this time she performed at the 1996 Olympic Games in Atlanta, Georgia. She credits her teaching style and focus to the years she was blessed to work with Robin Horneff at her studio in Waldwick, NJ (RHPAC). Robin's entire demeanor and approach to the business of dance education remains an inspiration and support to Samantha. Miss Zaleski spent five years in Arizona where she was the co-director of the student dance company, Powerforce Dancers, her students performed at Disneyland regularly. There, she first experienced the diverse layers of the West Coast dance community. This is where Samantha feels she came alive as a dancer and choreographer. She was reinvigorated as a dancer at Phoenix area conventions and classes at The Edge where the LA influences brought an exciting new layer to her primarily NYC-based dance education. This is where her passion for Lyrical and Contemporary was born! She won numerous awards for her choreography at competitions in the Valley of the Sun. She spent the last ten years educating young girls at Colts Neck Dance and Performing Arts Academy, as the Director of the Competition Dance Company. Her competitive level classes were well attended and instilled the importance of technical focus and proper training. Here, Samantha was blessed to be surrounded by good-hearted women that shared every aspect of themselves and their gifted passion with their dedicated students. Many young dancers have been afforded opportunities through a strong technically based studio experience in her no nonsense style classes, such as Modeling for A Wish Come True Costumes, acceptance into summer programs at ABT in Manhattan and University of the Arts in Philadelphia, and even an appearance on the television hit SMASH! Her students have gone on to attend college dance programs and dance teams all over the country. Many of her recent graduates are currently studying with dance companies and programs at University of the Arts, Bucknell University, BYU, Wake Forest University, Cornell University, West Virginia University and University of Arizona. Additionally, Samantha's students pursuing theater careers have had received stellar performance credits. One received two 2013 Count Basie Awards for outstanding Actress, and another performed this role of Nikki Bottom in Midsummer's Night Jersey in Scotland in the summer of 2013. She also has students currently dancing with Alvin Ailey and Parsons in Manhattan. Samantha looks forward to sharing her passion with the next generation of students and affording them a well-rounded contemporary dance experience. Ever blessed with the love and support of her special family members, guardian angel, and friends, Samantha eagerly embraces the new endeavor as EEDS director and owner. Together, with the encouragement from her husband and two children, she is again reinvigorated to share her journey with every family at Essential Elements Dance Studio. Amanda Esposito began her professional dance education at the age of 17 at The Joffrey Ballet School before graduating from The Juilliard School, Pre-College Division. After receiving a B.A. in Psychology from Cornell University as a pre-medical student with concentration in dance, she furthered her dance training at the Ailey School and was honored to be the 2013 recipient of the Judith Jamison Scholarship. Miss Esposito has spent summers at The Joffrey Ballet on scholarship, the Ailey School on scholarship, Paul Taylor, Parsons Dance, and RIOULT on scholarship. She has performed with Rioult Dance New York, both the national and international tours of The Illusionists: Live from Broadway, Ballet Hispanico 2, Nai-Ni Chen Dance Company, and has performed works by Robert Battle, Alejandro Cervera, William Forsythe, Ray Mercer, David Parsons, Pedro Ruiz, Matthew Rushing, Paul Taylor, and others. Jason Warley celebrates 20 years in dance education with a cover and featured story in the upcoming August 2014 issue of Dance Teacher Magazine. His training began under jazz dance legend, Frank Hatchett, and subsequently at Lehman College, Broadway Dance Center, and The Ailey School. Jason's professional performing opportunities led him to work with such celebrated choreographers as, Peter Pucci (former principal dancer with, Pilobolus), Edward Morgan (former principal dancer with, The Joffrey Ballet), Slam (former principal dancer on Madonna's,“The Blond Ambition Tour”), Brian Thomas (Emmy nominee for Michael Jackson's 30th Anniversary special), and Tony Award winning choreographer, Jerry Mitchell. Early in his career, he did world tours with recording artists, Shannon, Le Click and the Backstreet Boys. As a choreographer, Jason's works include productions of Ragtime, Dreamgirls, Dreamgirls-in-Concert, Smokey Joe's Cafe, and Singin' in the Rain. He has also choreographed a 2000 world tour for 80's pop Diva, Shannon. Jason has served on the sub-faculty at the world acclaimed Broadway Dance Center in New York City, covering classes for such popular teachers as, Frank Hatchett and Sheila Barker. He has led master classes and workshops throughout the United States and Japan and has been on faculty for Dance Masters, Groove National Dance Competition & Conventions, Inferno Dance Competitions, Associated Dance Teachers of New Jersey, the National Association of Dance & Affiliated Arts, and just joined the convention tour for Turn It Up Dance Challenge (competition & conventions).